Home buyers active on the market before October 2014 might fondly remember the Fannie Mae Homepath program. It was discontinued, as the American real estate market picked up and saw the number of foreclosures drop dramatically, compared to post-bubble numbers. Today’s post takes a look at the program, its provisions and benefits, as well the incentives and programs the bank introduced in its wake. To adapt to the changing conditions of a recovering market, Fannie Mae chose to focus on educational initiatives and funding flexibilities. closing costs can be offset through seller concessions. 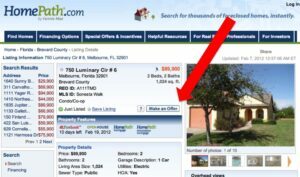 The agency launched HomePath in the first part of 2009 and was designed to help Fannie Mae deal with the numerous properties it owned. This was necessary, as the agency wasn’t initially thought of as an entity that managed properties. However, as foreclosures piled on in the wake of the housing bubble burst, Fannie Mae soon found itself with thousands of homes on its hands. Arguing that the rapid sale of REOs was positive for affected communities, in that it minimized disruption, Fannie Mae introduced HomePath. The program was open for applicants until October 6, 2014. Alongside this program, Fannie Mae also ran HomePath Renovation Mortgage, which awarded foreclosure buyers up to 35% of the home’s purchase price, capped at 35,000. The money could be solely used for repairing foreclosed properties. Within this latter program, the borrower could opt for the lesser amount of 35% or 35,000 and close on both the purchase and the renovation loan at the same time. This, of course, would reduce closing costs on the buyer’s end. the First Look program: this marketing program allows individual buyers to learn of agency-owned, listed REOs 20 days (30, for Nevada) ahead of real estate investors. 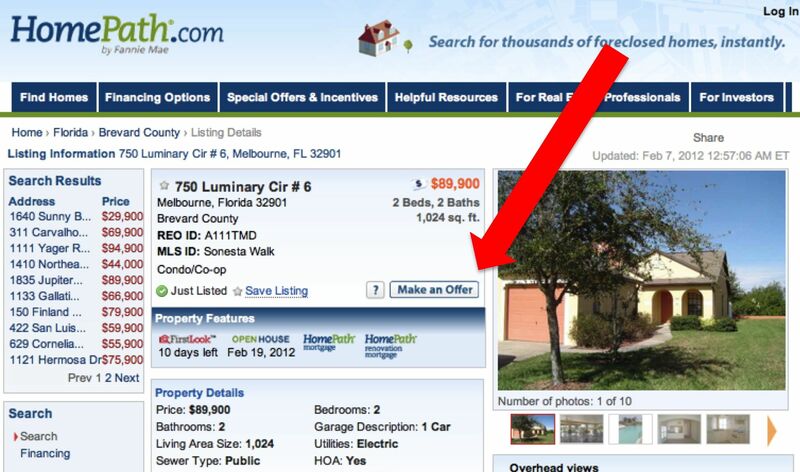 Properties included in the program have a counter with their remaining number of days in FirstLook next to their listing. Eligible buyers include owner occupants, public organizations, and certain not-for-profits. the HomePath Ready Buyer program: an educational programed aimed at educating first time buyers, which also makes them eligible to apply for 3% closing cost assistance. The $75 course is compliant with HUD standards, as well as with the National Industry Standards for Homeownership Education and Counseling. The short answer: a Fannie Mae HomePath property is a Fannie-Mae REO, or a foreclosed home currently under the ownership of Fannie Mae. The similar program from the other major government agency, Freddie Mac, is called Home Steps. Its provisions and requirements are very much alike to HomePath. As a rule of thumb, both government agencies encourage the rapid sale of live-in ready REOs across the country to owner occupants. The competitive pricing points of these homes naturally attracted buyers in the lower echelons of the market: prospective first-time owners, retirees, and families looking for a larger home. In some cases, even though condominiums were deemed non-warrantable under the HomePath Mortgage program, lenders asked for minimum insurance against loss. HomePath was also not compatible with interest-only mortgages.